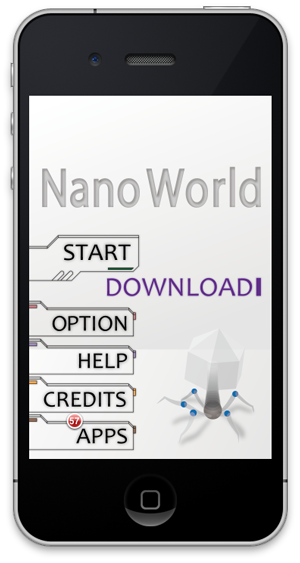 iPhone application “Nano World”. - AMUZENET, Inc. It's the smallest war in the world. Move a virus to invade! - Tap your area and then the destination area. - All viruses in your area will be moving. -When your virus meets an enemy, a virus with a lower number will disappear. 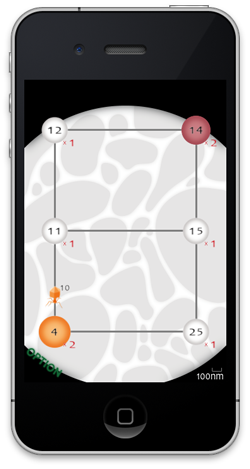 -The player fails to clear a stage when enemy viruses occupy all areas. All 12 stages are free to play. Additional stages are available for purchase as downloadable content. Virus must occupy all areas to clear a stage.